This newsletter may be clipped by your email client, so why not view this email in your browser? 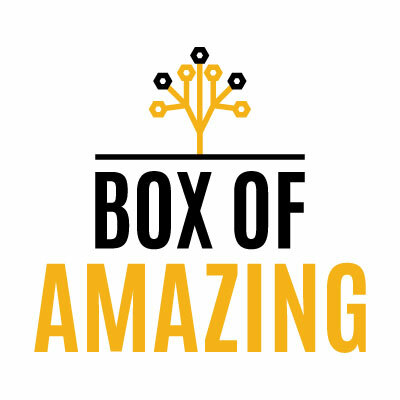 Box of Amazing is a weekly digest curated by Rahim covering emerging technology, trends and extraordinary articles, hand picked to broaden your mind and challenge your thinking. "In the last year, the social media app has added 300 million monthly active users — doubling in size and bringing its total global user count to twice the size of the population of the United States. Of that immense user base, nearly half follow 10 or more verified musicians. And even more are making regularly posts and Instagram stories about music, with concerts a particularly popular photo and video subject. “A show no longer starts when the curtain rises,” entertainment architect Ray Winkler, who designed Beyoncé and Jay-Z’s On the Run II tour, told Rolling Stone earlier this summer. “The show starts the moment the first person takes a picture of it." "A new study shows that after years of declines, BitTorrent usage and piracy is on the rise again. The culprit: an increase in exclusivity deals that force subscribers to hunt and peck among a myriad of streaming services to actually find the content they’re looking for. Sandvine’s new Global Internet Phenomena report offers some interesting insight into user video habits and the internet, such as the fact that more than 50 percent of internet traffic is now encrypted, video now accounts for 58 percent of all global traffic, and Netflix alone now comprises 15 percent of all internet downstream data consumed. " "Imagine having to scan your face and prove your age in order to play a video game. Tencent, the largest video game publisher in the world, just made that a reality for Honor of Kings, one of its most popular games." Below is a selection of recommended reading that you can get by following Box of Amazing on Twitter. Forward this email to a friend or five! Box of Amazing is a project that I started to share my thoughts with like minded individuals who are interested in the future world that we are fast approaching. The numbers of subscribers are growing quickly from all parts of the world. If you enjoy it, please share it with your friends, family, co-workers, enemies, competitors, pets, potential love interests and others who are interested in learning about emerging technology and trends that will affect us all in this lifetime. Are we connected on LinkedIn? Box of Amazing is curated by Rahim Hirji. If you were forwarded this email and want to subscribe, you can do so here. If you no longer wish to receive these emails you can unsubscribe from this list.